The 20th century saw the growth of intensive food production systems until, over just a few decades, farming and horticulture totally lost sight of traditional methods. The result has been food scares, pesticide residues in our food and environment and declining consumer choice. 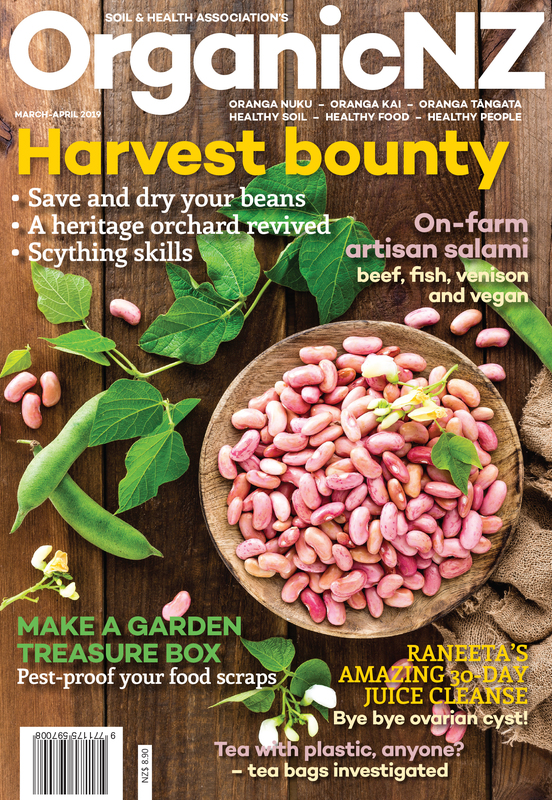 All over the world, people are reviving the traditional skills of growing at least some of their own food – even without a garden, you can grow a selection of salad vegetables and herbs on a balcony or windowsill – and increasingly they want to do it organically. Organic gardeners regard their soils and plants as part of a whole system within Nature. By co-operating with Nature they minimise use of resources and continually replenish any they do use. But developing a successful organic garden takes time. Don’t be disheartened if it doesn’t all come right at once. Particularly on depleted or neglected soils, or sites devoid of shelter and other vegetation, it can take several seasons to establish a balanced soil and envionment. Nature’s cycles can’t be hurried, though by co-operating with them you can greatly assist them. Don’t be afraid to ask for help. Successful organic gardening comes from knowing and obseving your own garden over peirods of time. Instead of just hitting a pest with a chemical spray, an organic gardener aims to prevent the pest becoming a problem but it it does he or she will think laterally to deal with it. So organic gardening does take some mental effort and some patience. Experienced organic gardeners can help you with the benefit of their experience. * Heaton S. 2001 ‘Organic Farming, Food Quality and Human Health’ Soil Asssociation , Bristol, UK. You can help educate children, family and friends about food growing. Food miles: when food is transported vast distances by road or air, the use of fossil fuels contributes to global warming. Other resources are also used in the process e.g. extra chemicals, packaging etc. Often people in the region of origin lose out in several ways. Climate: This governs what and when you plant and how you garden. For example, the further south, the shorter the growing seasons and the greater the need to protect soil and plants from cold and to plant hardy varieties. First and last frost dates are important, though climate change makes traditional reckoning less reliable. Further north, growing seasons are longer and plants may need to withstand humidity. Micro-climates: Gardens in colder climes may have warmer microclimates – e.g. a sheltered spot against a north-facing wall or an inhospitable south-facing, exposed site in a garden in a warmer area. Sun / Shade areas and times: Which areas get the sun, which are shaded and when. Some plants prefer gentle morning sun and shade in the heat of the day; others thrive in the stronger afternoon sun. Damp / Dry areas: Which spots tend to be damp all the time and which dry out quickly. Sandy – too gritty and free draining. Moisture and nutrients leach away. Clay – heavy and dense. Water collects making sluch and puddles, roots are vulnerable to rot. Clay soils dry out hard as concrete and crack. Silt – similar to clay but not so dense. Peat – tends to be very acidid. Chalk/limestone – alkaline and free draining. pH: How acid or alkaline (sour or sweet) a soil is impacts significantly on microbial life and plant health. pH ranges from 0 (acid) to 17 (alkaline): 7 is neutral. The acceptable range for plant life is between 4.5 and 7.5. Calcium carbonate- limestone and dolomite – increases alkalinity; sulphur and its compounds – sulphates, increase acidity. Acid soils can be sweetened by the addition of lime. To test pH levels, stir a handful of soil into water. Dip litmus paper into the water. It will turn blue if soil is alkaline, pink if soil is acid.